This machine is very usefull for dairy. machine is operating on double gearing system for proper mixing of the material.The Machine working capacity 80/100 Kg per charge. This machine gives you a good quality shrikhand and saves labour. 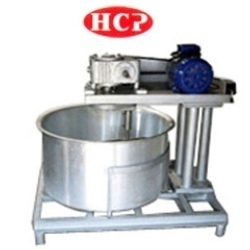 We are offering Shrikhand Mixing Machine. A new concept for the first time in india is the presentation of shrikhand machine. very usefull to dairy and easy to operate, and can be cleaned throughly after every charge. 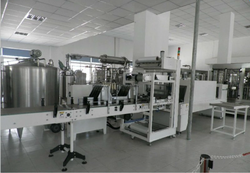 machine is made up of complete homegenous mix through its fine mesh perforated S.S. sheet, thus save time and labour. 1 HP motor with switch , cable and pluig. Capacity available :- 150 Kg./hr.